Lithuania is still the only country where you can find wooden synagogues. A couple of them can be found in Latvia and Ukraine. Word „still“ here is not used accidentally as the state of the wooden synagogues is really disastrous. 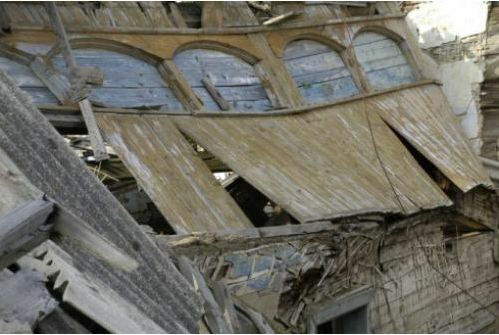 Although some of brick construction synagogues started to be looked after by the institutions, responsible for them, the state of wooden synagogues continues to deteriorate. Such situation resulted due to various reasons, the most important of them being that this type of heritage is not so much valuable as it does not belong to „us“. However, during the period between the wars famous art historian Paulius Galaunė noticed that synagogue architecture (if we consider only this type of architecture) is „an echo of the development of Lithuanian architecture“. 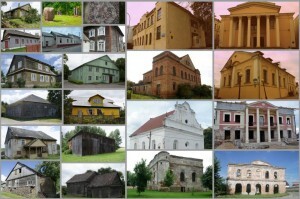 In order to get attention to the state of this heritage of Lithuanian architecture, charity and aid fund of Jakovas Bunka, run by Levas Daumantas Todesas, is going to organize exhibition of photographs called „Kaddish for wooden synagogues“, where the author captured the state of Jewish prayer houses.